After the complete installation of Multivendor System and Vendor Hyperlocal Addon, an admin needs to configure the module by going to Stores > Configuration > Hyperlocal System. Here admin has to enter the details required. Enable Hyperlocal System: Yes / No, use to enable or disable the module. Popup Title: This is the Heading for Pop-Location Window that appears for your Location. Distance Type : (Km / Miles) Set the unit if Radius Mentioned. City, Country, and State: In this case, it will take customer address and vendor address to fetch out the product based on location. Filter Product By (Vendor Location / Product Location ) If the admin has selected the option of “Vendor Location”, then if the Customer’s and Vendor Location is same it will display all the product of that vendor. If the admin has chosen “Product location”, then the system will fetch out all the product whose location is set as same as customer location. 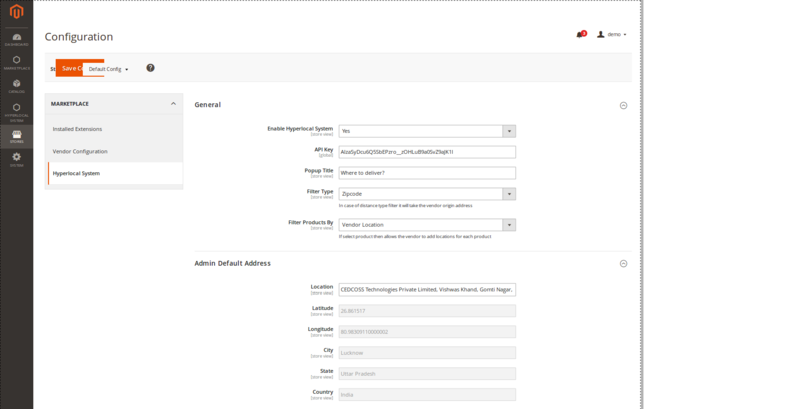 Zipcode: In this case, if the admin has used this setting, then the vendor can upload the list of Zipcode from a CSV file and then if the customer zip code matched with the product availability zipcode, those products will be delivered for him. Filter Product By (Vendor Location / Product Location ) If the admin has selected the option of Vendor Location, then if the Customer and Vendor Location (PINCODE) is same it will display all the product of that vendor. 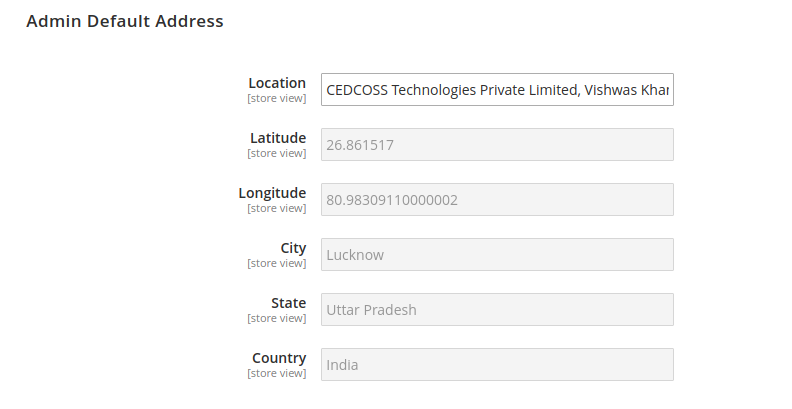 If the admin has chosen product location, then the system will fetch out all the product whose location (PINCODE) is set as same as customer location. Here Admin enters his location so that if there is a product of admin that can also utilise the admin detail (If Required).